cikeZ00, TuNiSiAnOO, Synxx23 and 1 other person like this. TuNiSiAnOO and esc0rtd3w like this. Epic guys, nice release and great work to all involved. SNES on SuperSlim.. Lets see what else Retro Homebrew we can revive. Joyas, edi7, cikeZ00 and 6 others like this. HAN Enabling is giving a lot of failed executions. Still trying. Will update. To get best results, remember to load any exploit page directly. Don't browse to it from other pages. hmsgr and esc0rtd3w like this. edi7, cikeZ00, TuNiSiAnOO and 2 others like this. If I only want to install PKG , have I to do all the other steps ? I mean 3/4? Once you have the PKG mgr installed and the resigned act.dat (Activation data) injected, the rest is easy. 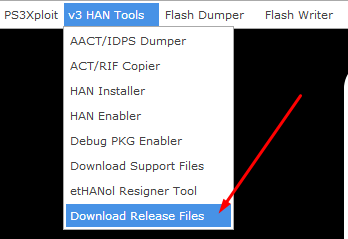 Install Contents and inject the license data (RIF) then you're done, not to mention HAN has to be enabled to allow injected license data. cikeZ00 and esc0rtd3w like this. HAN Enabler worked. Everything seems alright. Now will try pkg installation. edi7, TuNiSiAnOO and esc0rtd3w like this. You drop your raps or pkgs onto it. Now as the release is official, we need an all-out explanation thread from enabling HAN to installing packages and emulation and what not. I think it's time. cikeZ00, TuNiSiAnOO and esc0rtd3w like this. It worked. I was using the site but then I launched locally. It had better success. B7U3 C50SS, cikeZ00 and willyboy like this. Is there a step to step tutorial?